Filipino Style Recipe: Cornsilog is another variety of popular Filipino SILOG dish which is commonly sold in carinderia. This combo dish is consists of CORNed beef, SInangag(fried rice) and itLOG(fried egg). 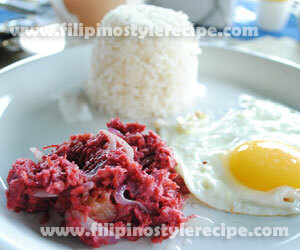 The corned beef is sauteed with onion then served with fried egg and fried rice. 2. Add corned beef then continue stir cook for 3 minutes or until done. 3. Arrange corned beef in a serving plate with fried egg and fried rice. Enjoy! 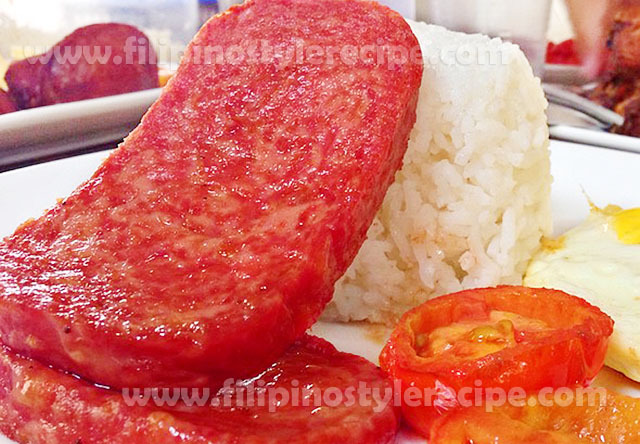 Filipino Style Recipe: Spamsilog is another popular breakfast dish by most Filipinos which is a combination of Spam, Si=sinangag(fried rice) and log = itlog(fried egg). Spam is an imported canned product from United States, thanks to citydelivery.ph for providing the ingredients. 2. 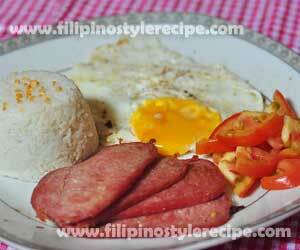 Arrange fried spam in a serving plate with fried egg and fried rice. Enjoy!